Imagine a book that celebrates daydreaming, that sees it not as a moral failing, but as an activity to be valued as an end in itself… The way Hampl writes about it is pretty memorable, too. In fact, it’s a knockout… it’s impossible to do justice to the cumulative power of Hampl’s dream-weaver writing style by just quoting a few lines. You have to go on the whole voyage with her, take the detours, be willing to let yourself get becalmed in thought. The payoff — because, of course, we’re all still looking for a payoff — is that by wasting some of your time with Hampl, you’ll understand more of what makes life worth living. A writer’s life is conveyed through “a lens of penetrating inquiry.” As a young girl studying the Baltimore Catechism to prepare for her first confession, Hampl (The Florist’s Daughter, 2007, etc.) was shocked to learn that daydreaming—”this effortless flight of the mind”—was a sin. She refused to believe it: daydreaming, her abiding pleasure, “sees things. Claims things, twirls them around, takes a good look,” and makes sense of them. In this lucent, tender, and wise memoir, the author celebrates this quiet reflection, which actually requires acute observation and intense, even loving, attention. “Caress the detail, the divine detail,” Nabokov commanded. 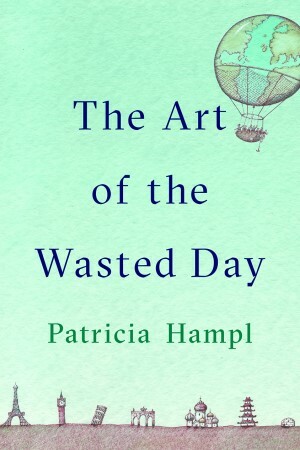 “And because the detail is divine,” Hampl discovers, “if you caress it into life, the world lost or ignored, the world ruined or devalued, comes to life.” As in her previous memoirs, the author reports on journeys, both inward among memories and outward—to France, Wales, and on the Mississippi River—as she works at “the job of being human.” She is never really alone, “even though being alone is the one thing we recognize as our chance for authenticity, for surprising ourselves out of predictability.” Her traveling companions include Whitman, Dickinson, Augustine, Gregor Mendel, Colette, Virginia Woolf, and, notably, Montaigne, the elegant 16th-century writer who withdrew from public life “to muse about how to die—or was it how to live?” Montaigne invented a new literary genre, the essay, liberating writing “to be wild, untamed, eccentric.” His goal, Hampl writes, “was to renew the springs of the first-person voice bounding across the field of what we keep calling, against our uncertainty, reality.” His goal is Hampl’s, as well: memoir, she knows, is “not a reminiscence, but a quest.” Although reveling in solitude, the author is no stranger to loneliness; her husband’s recent, unexpected death has left her bereft. Grief pulses through the memoir, a feeling different, entirely, from “the solitude within the mind.” “Loneliness eats away at you,” writes the author. “Solitude fills and fills you.” A captivating and revelatory memoir.